Customers have not been given enough warning by multiple airlines over potential ticket issues once Britain passes the Brexit deadline, according to a watchdog. Which? magazine writes that customers should be warned over the possibility of passports becoming invalid and flights being cancelled if the UK withdraws from the European Union without an agreement. Thomas Cook Airline, TUI AirwaysAirlines and easyJet claimed they have no information on what might happen post-Brexit, according to the Manchester Evening News. Rory Boland, Which? Travel's editor said: "There were no warnings through the booking process on any of those sites about possible cancellations or passport validity." Proposed no-deal guidance from the EU Commission published last month stated that flights between the UK and EU should continue for 12 months in the event of a no-deal Brexit, but UK airlines would not be allowed to add new routes or increase frequencies. The International Air Transport Association said this cap on flights could lead to as many as five million plane tickets being cancelled. Airports Council International predicted that - if the policy was also applied by the UK to EU airlines - it would "ultimately result in the loss of 93,000 new flights and nearly 20 million airport passengers on the UK-EU27 market". Mr Boland said: "We think airlines should be more upfront that some flights may not be able to depart in the case of a no-deal because it would give potential customers the opportunity to change their plans." He added: "It's giving passengers more information so they can make a better, informed decision about their holidays." People hoping to fly to somewhere in the EU post-Brexit with less than six months left on their passport at the time of the flight may not be able to travel. You can check the details of this on the HM Passport website, which has a handy interactive tool. Mr Boland claimed the Government "should be warning people more proactively" about the change. He said: "The issue will come when everybody suddenly realises as the Easter holidays approach and then there's a mass of applications and the passport office can't handle it. "They should be telling people to get those applications in early." 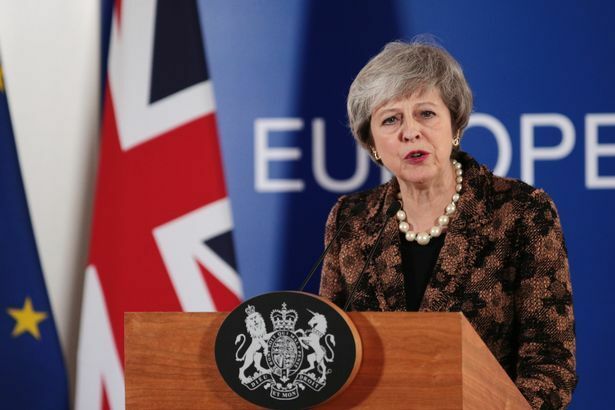 A Department for Transport spokeswoman said: "We are committed to ensuring that flights between the UK and EU continue, and the European Commission has published a proposal to make sure this happens. "This clearly shows that in the event of no deal, both sides are committed to maintaining connectivity. These combined reassurances should allow businesses and passengers to continue to book and travel with confidence." Labour's shadow transport secretary Andy McDonald also said: "A no-deal Brexit would be a disaster for the UK aviation sector."